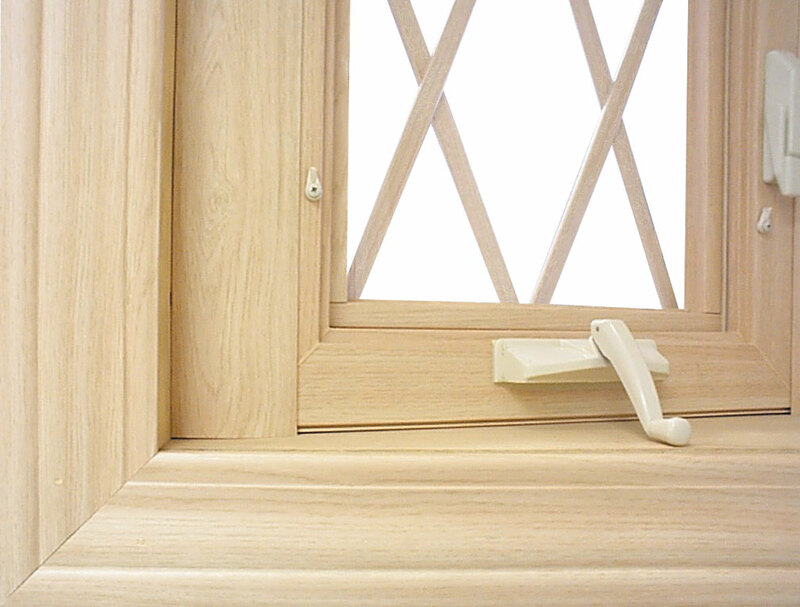 Laminated Trim is available in all of our woodgrain colors: Light Oak, Dark Oak, Cherry, Stainable Pine, Stainable Oak, Bengal White, and Bleached Oak. 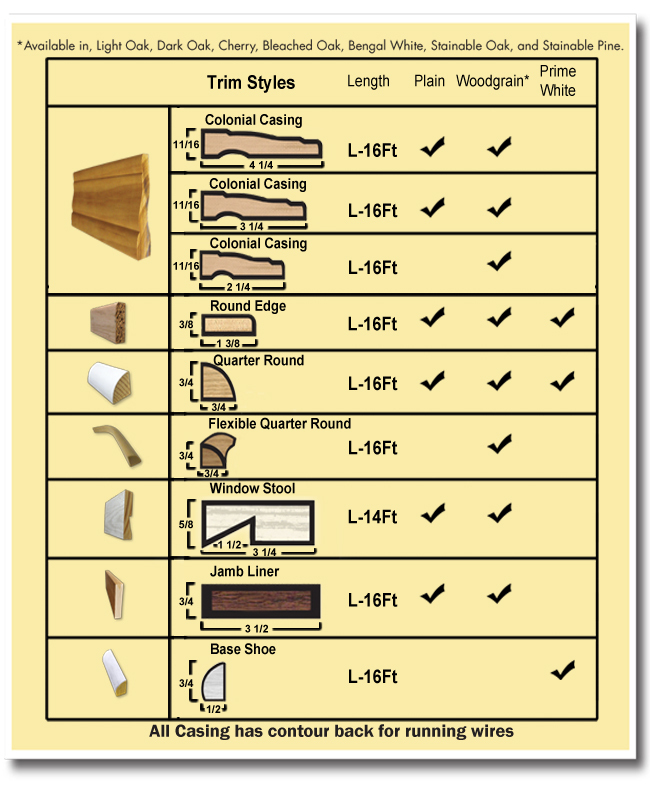 We also offer trim in unfinished natural pine (except for 3 1/4" Ranch casing and rounded window stool). Matching trim nails are also available. Only available with purchase of Lang Exterior windows. Not Sold Separately.